2) Instant digital redemption at www.get.tech - Coupon code is only valid for purchase of standard domain names and not premium (high valued domains) or reserved (unavailable) names on www.get.tech. Offer not valid on renewals. 3) Coupon codes are one time use and will only work for the number of years mentioned in the deal. 4) Standard domain/GSuite renewals will be applicable after the registration period. Domains can be renewed either on www.get.tech or any other registrar of your choice. 5) In case of Domain transfers to other registrars, transfer fees may apply. 6) Radix reserves the right to deny use of this offer and/or cancel domains purchased using this offer, if the offer is abused or used fraudulently, as determined by Radix in its sole discretion. It’s one thing to register and host your site on a .com domain, but how is that going to separate you from the crowd? To really get a domain that grabs attention, you need to take advantage of today’s discount promotion, .Tech Domains! 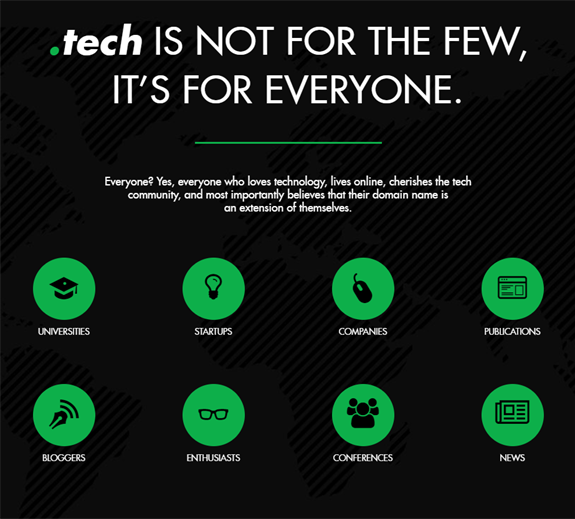 .Tech Domains lets you search for, register, and manage .TECH domains, while accessing a variety of benefits reserved only for community members. 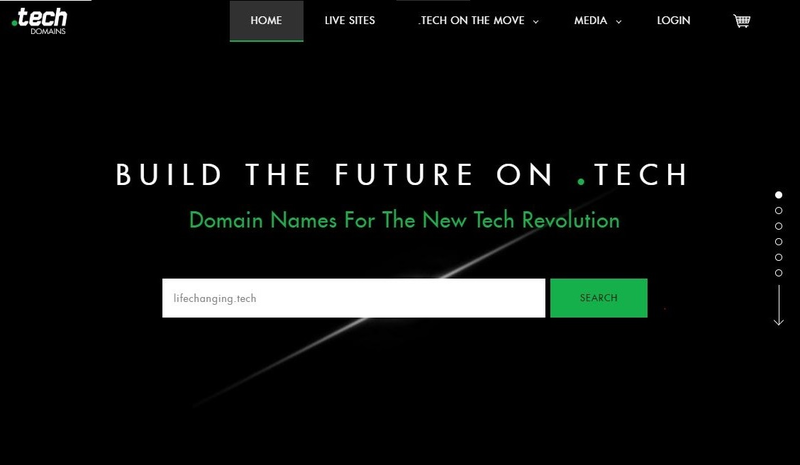 With .Tech Domains, you’ll be able to snag a unique domain name, get free access to tech conferences and startup events worldwide, and secure discounts on products and services relevant to your business. Imagine building a network of relationships with other like-minded tech titans such as yourself! These and other opportunities await you as you register your .TECH domain and build brand identity with a global base of technology startups, developers, and technology evangelists, bloggers, and other influencers. After you purchase .Tech Domains, it may be used for 12 months. After you purchase .Tech Domains it may be used for 12 months and will not function after that unless you renew your subscription.